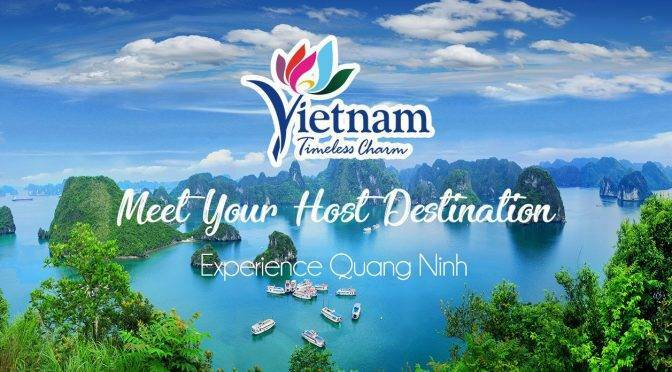 Vietnam, the Host Country of the 38th ASEAN Tourism Forum (ATF) to be held in Ha Long. Silvija Travel Tiops will be among the 1500 delegates. They comprise of Travel Media, Ministerial, NTO, official meeting delegates, as well as TRAVEX suppliers from across all 10 ASEAN member states, international buyers. ATF TRAVEX, is the largest and most diverse showcase of ASEAN suppliers, will play witness to ASEAN travel trade industry exhibitors from Brunei Darussalam, Cambodia, Indonesia, Lao PDR, Malaysia, Myanmar, the Philippines, Singapore , Thailand and Viet Nam, connecting with hosted buyers and media representatives from around the world. The 3-day ATF TRAVEX 2019, which commences from 16 January and run until 18 January 2019. There will be 75 official sessions with the Host Country organising a programme packed with numerous social activities that include, Pre-and Post-Show Tours, an Opening Ceremony, a Welcome Reception and Dinner, a Friendly Golf Game and a Farewell Party for all ATF delegates. Major highlights for Exhibitors and Buyers include the 32 one-to-one business appointments, 100% of which can be scheduled prior to arrival in Ha Long. Another anticipated ATF component is the ASEAN Tourism Conference, where major regional issues are presented and discussed by subject experts and thought leaders. In keeping with the aim of strengthening co-operation among the ASEAN tourism industry’s various sectors, this knowledge platform promotes discussion, exchange of ideas and valuable perspectives to motivate progress among ASEAN stakeholders. It is also the aim of the Host Country that through its high hospitality and infrastructural standards, it will successfully demonstrate its capabilities and be recognised as one of ASEAN’s most attractive destinations, complete with world-class facilities and services to make an even greater impact on its already impressive touristic appeal. ASEAN Tourism Forum (ATF) is a cooperative regional effort to promote the Association of Southeast Asian Nations (ASEAN) region as one tourist destination. ATF TRAVEX is the longest-running annual ASEAN leisure travel trade event, showcasing the largest contingent of ASEAN sellers. This annual event involves all the tourism industry sectors of the 10 ASEAN member nations: Brunei Darussalam, Cambodia, Indonesia, Lao PDR, Malaysia, Myanmar, the Philippines, Singapore, Thailand and Viet Nam. Each year, the hosting of ATF is rotated among the member countries. Viet Nam will host ATF 2019 and is all geared up to welcome 1500 delegates. ATF 2019 marks the 38th anniversary of this event since its inauguration in Malaysia in 1981. The shimmering Bay of Ha Long, Vietnam with its magnificent limestone formations will form the backdrop of the 38th ASEAN Tourism Forum (ATF) in January 2019. Ha Long city, the capital of the surrounding Quang Ninh province, is all set to welcome some 1,500 international delegates during the week-long event. This includes ministerial officials to the events formal meetings, as well as exhibitors from across ASEAN region. The event will also attract hosted buyers & media from around the world, as well as travel industry professionals to the TRAVEX trade show. Official ministerial meetings will primarily be held at the FLC Ha Long Bay Resort while the 3-day TRAVEX travel trade exhibition from 16 to 18 January 2019 will take place at the Quang Ninh Exhibition of Planning and Expo Center (QNEPEC). The 21,000 sqm state-of-the-art venue modelled after a local pearl-making mollusk, has been the selected venue of choice for significant cultural, social, and economic forums in the city and can now add the ATF name to its list. In anticipation of ATF 2019, the city has undergone extensive developments to enhance connectivity to Ha Long city. A new highway connecting capital Hanoi with the province will cut transport time down to 1.5 hours from 4 hours.